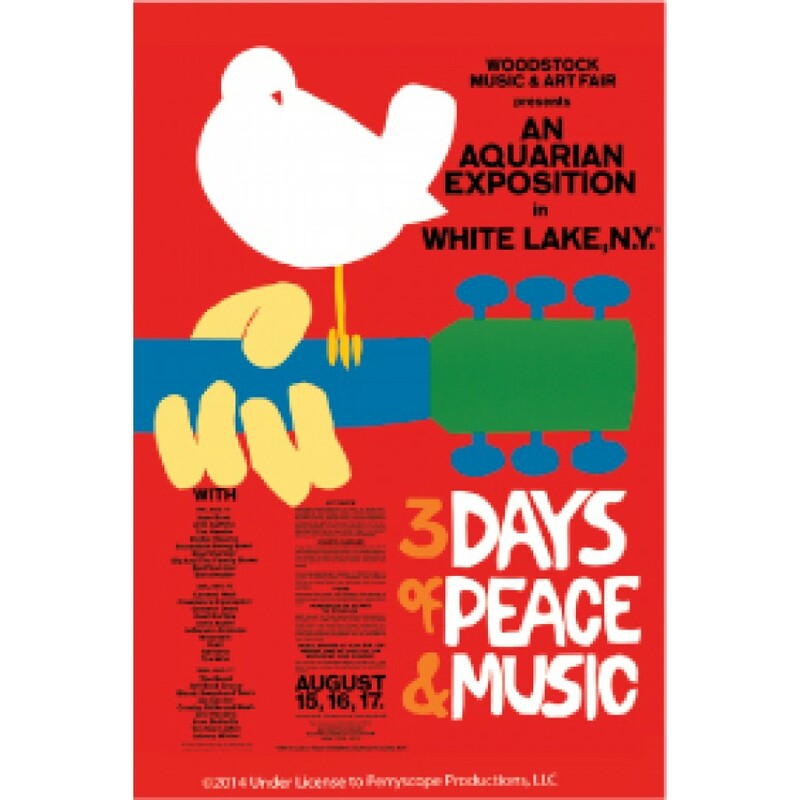 The Woodstock Music & Art Fair—informally, the Woodstock Festival or simply Woodstock—was a music festival, billed as "An Aquarian Exposition: 3 Days of Peace & Music". It was held at Max Yasgur's 600-acre (240 ha; 0.94 sq mi) dairy farm in the Catskills near the hamlet of White Lake in the town of Bethel, New York, from August 15 to 18, 1969. During the sometimes rainy weekend, 32 acts performed outdoors before an audience of 400,000 young people. It is widely regarded as a pivotal moment in popular music history. Rolling Stone listed it as one of the 50 Moments That Changed the History of Rock and Roll. Official Woodstock Bird on Guitar Postcard. Send one to your favorite hippie and buy one for your own collection!